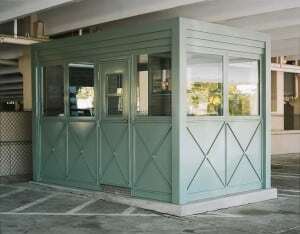 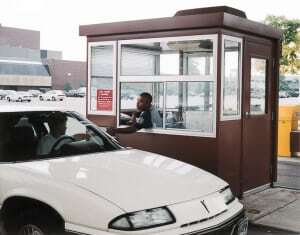 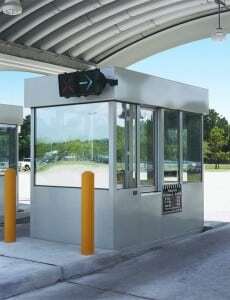 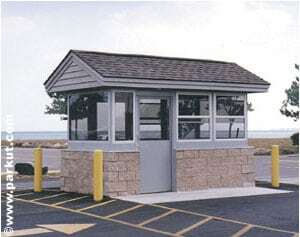 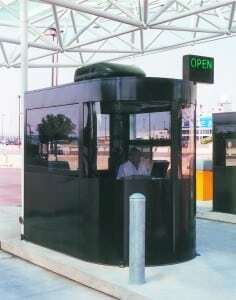 Cashier booths are used in many settings, from parking lots, to car washes, to parks and marinas, airports and tourist attractions. 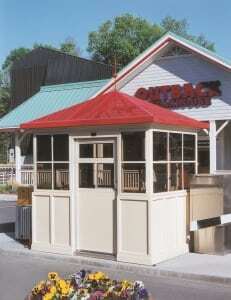 Par-Kut International offers several styles and too many sizes of cashier booths to list them all here. 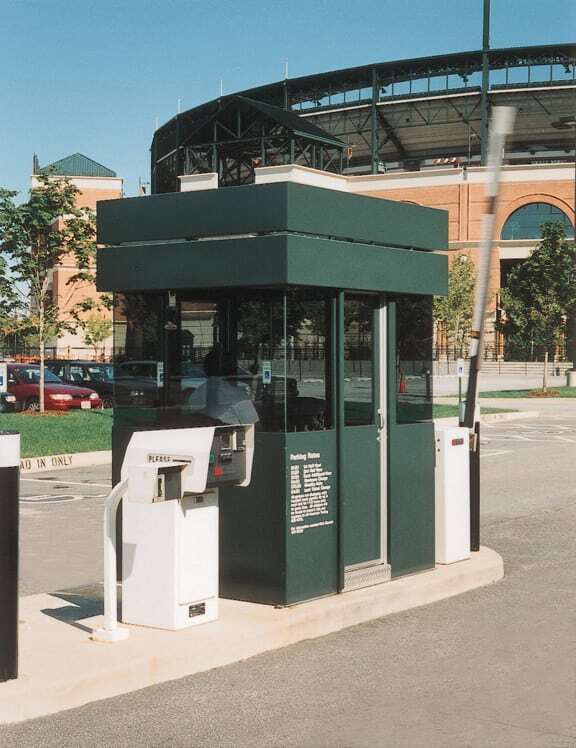 From basic to top-of-the line, Par-Kut cashier booth can meet any organization’s need for an enclosure to shelter the employee whose task it is to maintain the all important revenue collection stream. 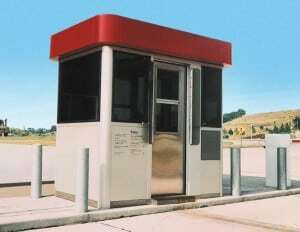 The insulated portable steel cashier booth protects your employees while they perform the most valuable function of collecting revenue. 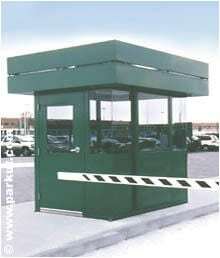 Protect your bottom line by contacting Par-Kut for more information on standard features, specifications and delivery. 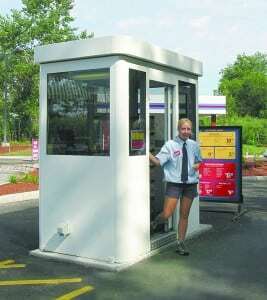 Go to GALLERIES to view additional cashier booths.